Conflict and climax are two major parts of every single story. They help people to be drawn in, bite their nails, and gasp in shock at just the right parts. But what are they? And how can you write them? That’s what this article is for. 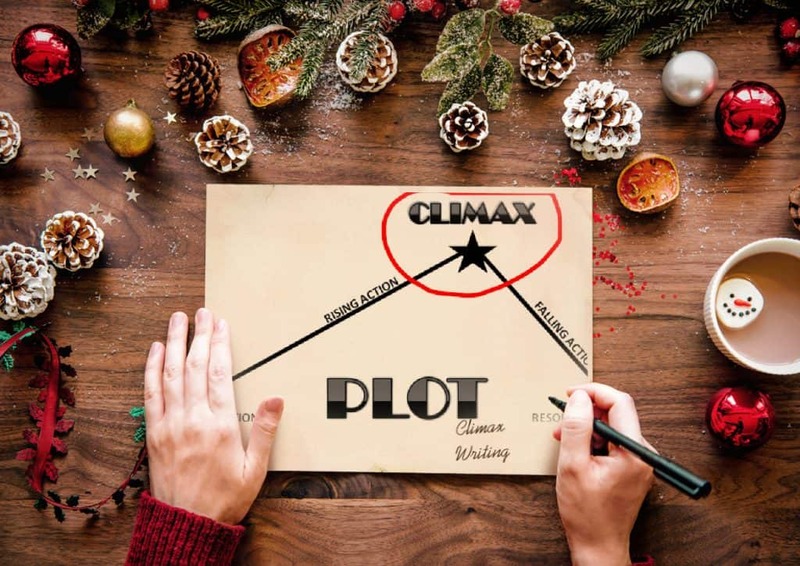 If you want to know how to write climax, It will teach you everything you could want to know about conflict, climax, and how to use them properly, which can be an issue for some people. So, without further ado, here are the tips and information. In a narrative, conflict is the challenge the main characters need to solve to be allowed to achieve their goals. In tradition, conflict is a major literary element that creates challenges in the story and uncertainty about what will happen if the characters fail. A story is not limited to a single conflict, although many will have one main one and then many smaller one throughout. The conflicts may not always be resolved in a story, and this causes the story to still be open. In other situations, a conflict will be resolved, which causes the story to have closure. There are many different types of conflicts in stories, but they all fall into one of these four categories. Man vs Man: In this type of conflict, the characters in a story will work against each other as enemies. This is known as external conflict. The conflict can be direct opposition, such as a sword fight, or a more subtle conflict, like the desire of romance between two characters. This conflict is very common in traditional literature, myths, and fairy tales. Man vs Nature: This conflict is one of external struggle that pitting the hero against a force of nature or an animal. The ‘man vs nature’ conflict is central for Ernest Hemingway’s The Old Man and the Sea, where the protagonist contends against a marlin. Man vs Self: This is a struggle of internal conflict. A character must overcome their own nature and make a choice between different paths- good and evil. Man vs Society: A character standing up against a man made institution (like slavery) is a example of this type of conflict. In these stories, characters are forced to make moral choices or frustrated by social rules in meeting their own goals. Once you know which type of conflict your story will be featuring, then we can get started on writing conflict. First, give your character clear goals, things they want to works towards. You know what type of conflict you’ll be using, so find a way for something to be in the way of their goals. If you are having the main conflict man vs man, then find someone who stands against or in the way of the characters goals. If the main conflict is man vs self, then have self-doubt stand in the way of the characters goals. Second, Go big, go small. It’s simple. Use one big idea of conflict, but make sure to have plenty of smaller ones too. Adding small bits of conflict that become resolved quickly adds a feeling of realness to a story. Everyday life is filled with things like this happening. Third, Let your characters fail. Not to say they can’t win in the end, but having them fail will raise the stakes and make the conflict seem all the more real. The climax, turning point, of a narrative is its point of highest tension and drama, or the time the action starts and a solution is given. The climax of a story is a literary element. That isn’t really a lot of information, but it’s all that’s needed. A climax is the big everything near the end of a story. The stakes are at their highest and the chance of failure is at its highest too. This scene is big, and it’s important to write it as such. To start with a climax, think about how you want it to end. This is a good way to start, that way you don’t accidentally kill anyone who was supposed to make it to the end of the climax. Then think of everything that’s happened so far. And mix everything’s consequences together into one scene. And there you have it, the climax. A important thing to remember about the climax, it should always occur at the end of the story. This is something everyone knows, whether they realize it or not. Have you ever noticed how all the biggest bits of action always happen at the end of a story. That’s because that’s the climax. You will need to end it of course too. Find a good way for everything to come to a close, all the consequences to be used, and everything to end happily. It shouldn’t be cheesy though. You can’t just have everyone stop fighting in the middle of a war and say “The evil king is dead. We’ll stop fighting for him now and side with the good guys.” That is unrealistic. Instead, maybe the evil king dies, and his warriors keep fighting for him to avenge his death until they realize they’re losing. They retreat to avenge the evil king later. Doesn’t that sound more realistic? And let’s be honest, it leaves quite a bit more open for a sequel that could be quite interesting to read. A climax like this is the best way to set up a sequel to a story. It will leave people wondering what’s going to happen next, as well. There you have it. Everything you could want to know about climax, conflict, and how to write it. I hope this has helped to inform you more on these subjects as well as to help you with and types of writing involving these things you might be doing in the future.